Most people discard their old car battery but not many people know about reconditioning it. In this article, we’ll discuss how to recondition batteries. Reconditioned battery or refurbished car battery can let you save money and get a 100% functional battery for other use. Also, it’s greener for the planet too. Not only that. A reconditioned battery will work like a new one and you can even sell it as a second-hand good. Also, it’s very simple to recondition a car battery. All you need is some time and a few gadgets and items that can easily get from your local store. Also, learn more about automotive batteries and how to maintain them by checking out these articles – Best Car Battery, Best Truck Battery and Best Marine Battery. There are many other processes you can teach yourself to do to make sure your battery and your car work in tip-top shape. Battery restoration is just one the more useful ones out there. Most car batteries can last for four to six years, in general. Many factors affect their actual performance and durability. You can replace it with a new model. But what do you do with your old car battery? Learning how to recondition batteries is a great way to save up on money, or at the very least dispose of your old batteries more economically. But, before we get into the ‘how to recondition batteries’ topic, it’s essential to go through the battery reconditioning and tools required guide first. This will get your battery prepared for reconditioning later. How to recondition old batteries? Why should you recondition your rechargeable batteries? How to prolong battery life? How to clean a car battery with accessories? Call it what you want – battery rejuvenation or battery reconditioning. Battery reconditioning is to take an old battery and refurbish it by cleaning and changing the battery water with new so that it works like a new battery. Also, it’s essential to know that reconditioning your old battery can save you money, has less impact on the environment, and can even make your old battery work like a new one. Battery reconditioning is a simple process, and anyone can do it if they have the patience to learn. But before you get started, you should know that it takes quite a bit of time and you will need to purchase additional equipment for it to work. Don’t worry! It’s all worth it once you learn how to do the actual reconditioning procedure. While the actual steps to reconditioning your car battery are simple and easy to follow, you still need to ensure that you handle your battery with care. After all, you’ll be messing with toxic material, here. The liquid electrolyte inside your battery is a solution made from sulfuric acid and water. Needless to say, you do not want that getting on your skin and even on your clothes. Most of all, you definitely need to keep it away from your eyes. So it’s a good idea to wear a pair of safety goggles, a pair of neoprene chemical-resistant gloves, and an apron when you work. You can also choose to wear old clothes that might get ruined. Lastly, always be vigilant and concentrate on the task at hand to make sure nothing goes wrong. As mentioned above, reconditioning your battery will require you to get a few more tools and equipment needed for the procedure. If you’re looking for high-quality battery accessories, head over to these articles – Best Car Battery Charger and Car Battery Tester. Now, let’s us look at what you need to do before start reconditioning a car battery. Before the actual reconditioning process begins, you will need to clean your car battery and remove all corrosion that has built up on it. You can always use a car battery cleaner for this or make your own cleaner solution. It’s still easier and more effective to work with a clean and well-kept battery. Most corrosion can be lifted by the cleaner solution, but if there are spots of heavy corrosion on your battery you, you may want to use a steel wool brush. Jump to below to find the best battery cleaner accessories to use for cleaning a car battery. Once the cleaning is done, the next thing you need to do is pre-test your battery and check its current voltage. 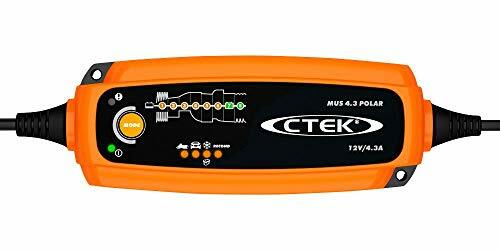 Use a voltmeter and connect it to your battery terminals. If the display says 12.6 volts and up, then your battery is working great, and you should just probably clean it up for it to work better. If the display shows 12.4 volts or below, your battery will need reconditioning. If by any chance, the display shows 0 volts, then that means your battery has short-circuited and reconditioning will do no good. After checking the voltage, you now have to remove your battery’s old acid. Some of it will be left inside. Remember that battery acid is toxic so make sure to wear your safety gear and to do this step in a well-ventilated area. Remove all the caps from your battery, and make sure you have a plastic bucket and baking soda ready nearby. Hold your battery and lean it away from you. Pour the acid into the bucket. Do this carefully and take your time. You wouldn’t want the acid to spill. If ever it does happen, put some baking soda on it to neutralize it. Once all the battery acid is in the bucket, put about half a pound of baking soda in it to neutralize the acid so can safety discard after that. Next, you should clean the inside of your battery. Mix half a gallon of distilled water with half a pound of baking soda. Use your funnel to pour the solution in all your cells, and shake your battery for about 30 seconds to a minute. Empty the solution into the bucket. Step 3: How to Recondition Old Batteries? So now that your battery is ready, how to do you recondition old batteries? Well, all you need to do is refill the cells. Or in other words, create your own electrolyte. This can easily be achieved from distilled water and Epsom salt. This solution can raise your voltage and even increase the amps your battery can produce. All you need is to put half a pound of Epsom salt in half a gallon of boiling distilled water. Make sure to add the salt little by little to ensure that everything dissolves. Stir occasionally. Once the water is clear, your reconditioning electrolyte is ready. Leave the solution to cool down to room temperature. Take your clean funnel and refill your cells until you hit the max level as indicated on the battery. Make sure you fill all cells. Put back the caps, shake your battery for a minute, and you’re done. Now that you have reconditioned your batteries, you would want to make sure that it actually works. First, you need to charge the car battery to full and you want to use a slow 12-volt battery charger. Head over to the Best Car Battery Charger article to find the best charger to use. After that, you can use a battery load tester to make sure the reconditioned battery can hold a charge. To see if the recondition car battery is showing these number, you can use a battery load tester to make the testing job easier. Also, a battery load tester is especially handy if you plan to recondition more batteries. If you need a battery load tester, head to the best Car Battery Tester article for more info. Epsom salt isn’t the only thing you can use to recondition your battery. Although most people prefer it, other alternatives do exist and work reasonably effective. Instead of Magnesium sulfate which is Epsom salt, you can combine a pound of Aluminum sulfate with a gallon of boiling distilled water. With this solution, your battery can charge faster. It can also increase your battery’s lifespan. However, Aluminum sulfate works best with batteries that are still in a decent condition. More worn out ones might not reap the same benefits. Some people have tried Copper sulfate instead of Epsom salt, and it works. If that’s what you have on hand, by all means, use it. However, its benefits might only last for a short time, and it can probably do more damage to your battery. So be careful. Sometimes batteries couldn’t be reconditioned anymore. So, what do you do with them then? Word of advice: change your car battery regularly. When it reaches the end of its natural lifespan, it’s still a better idea to get a new one for your car. Regardless of how great you are at maintaining your battery or that it can still work adequately, replacing old batteries will provide you with better performance and safety. But what do you do with old car batteries or dead ones? Well, for one, do not just throw it in the trash. These batteries contain a mix of toxic chemicals that can be detrimental to the environment. The best way to dispose of your old battery is to give it to your local auto shop. When you’re buying a new one, just ask for them to take your old one for you. Another way is to recycle the battery and search for a recycling depot that accepts car batteries. However, not all depots can receive them so contact the depot beforehand for affirmation. You can also have it refurbished. That means that your battery still has a lot of different uses. It just isn’t enough to power your own vehicle. There are many ways to make the most out of the refurbished batteries. Just search the internet for more projects. Want to know the length of a battery’s life? Check out this article: How Long Does A Car Battery Last? Continue reading below to learn more facts about batteries and useful tips on reconditioning. You might think that just because you can recharge rechargeable batteries, they won’t need a battery repair service. Memory Effect is when the length of use in a battery decreases between every charge. Getting your rechargeable battery reconditioned allows you to bring it back to life again, and make it provide you with optimum performance. There are lots of types of batteries that you can recondition. It’s not just limited to automotive ones. Most electronic devices use these three more common battery types, mainly Nickel Cadmium, Nickel Metal Hydride, and Lithium Ion. All three don’t look too different from each other but have significant distinctions. Nickel Cadmium batteries have been around the longest in the market. In fact, many electronic devices still use Ni-Cad batteries today. They can provide high capacity as well as produce stable voltage. Unfortunately, they are also known to succumb more to Memory Effect and can last only an average of one or two years. Nickel Metal Hydride batteries are the upgrade from Ni-Cad counterparts. They have the same benefits, but Ni-MH batteries do not suffer as much from Memory Effect. The Ni-MH batteries can also last longer at three to four years. Unfortunately, they are more expensive than Ni-Cad batteries and lose charge faster when not in use. Lithium-Ion batteries are the most up-to-date model available in the market. They have the same benefits of both the Ni-Cad and Ni-MH varieties but do not suffer from Memory Effect at all. They have more discharge-recharge cycles than both and can last for four to five years. But, Li-Ion batteries lose about 10% of their storage capacity every year because of its chemical breakdown. Hybrid batteries are some of the most expensive types of batteries out there. It can last for about 200,000 miles. This type of battery consists of modules to make it work. Paying for a new hybrid battery will definitely cost you an arm and a leg, so having your current one reconditioned is still the more economical way to go. Reconditioning a hybrid battery merely is replacing only the modules with damage. This will keep your battery working for about seven more years. And you’ll be spending less than half of what a new hybrid battery costs! Prolonging your battery life can be tricky since each battery type has its own set of advantages and disadvantages. It’s better to talk about each of them separately to understand what needs to be done. Let the battery drain completely before recharging it. Use a charger that can automatically stop when the battery is 100% recharged. Do a ‘deep cycle’ recharge once every month. Discharge the battery completely then recharge to 50% if the battery is used for more than 2 weeks. Do a ‘deep cycle’ recharge once or twice every month. Do not lave Ni-MH batteries in devices that are always turned on even when not in use. Use only chargers designed explicitly for Li-Ion batteries. Keep the battery fully charged as long as possible. There are many ways to clean a battery. Some will prefer buying their own car battery cleaner. Others may want to have professionals do it for them. Still, others may like to do it the DIY way with other household items like baking soda. Just like in your paint and engines, rust and corrosion can build up on your battery. 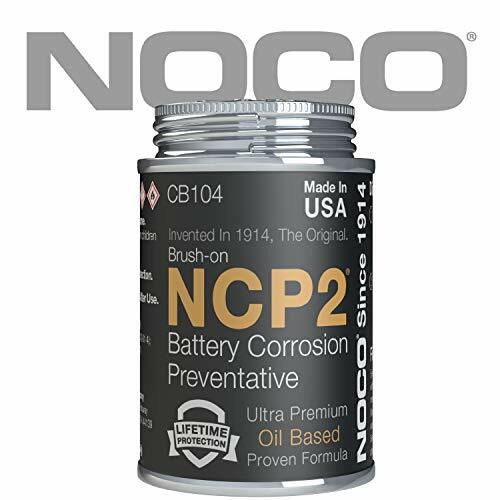 A corrosion preventive solution is designed to coat your surfaces to prevent it from forming rust. That’s why it’s essential to apply this solution around your terminals and posts. Sometimes, you still get a bit of corrosion, dirt, and residue build-up around your battery. Part of its maintenance is keeping it clean. 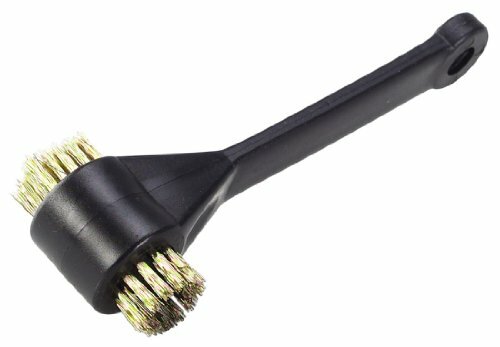 A cleaner brush helps you remove the gunk around your terminals and posts to keep your battery well-maintained. After all, a well-maintained battery will perform better and last longer. 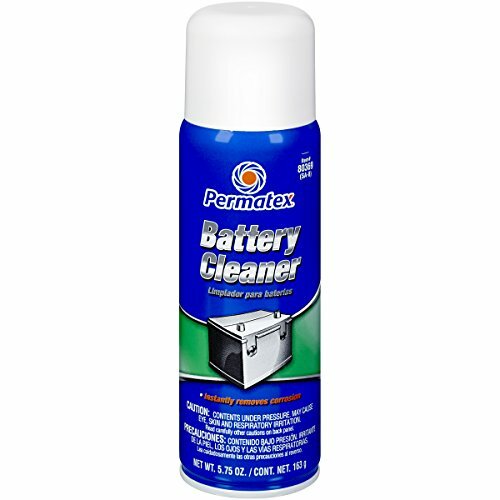 Another product that can make your battery maintenance routine easier and quicker is a battery cleaner spray. It is designed to clean out your whole battery; from the wire cables to the terminals so that it can be kept clean. Doing so will help immensely in keeping it performing flawlessly. CRC 05023 Battery Cleaner with Acid Indicator - 11 Wt Oz. If you’re more into preventive measures than removable and replacement, anti-corrosion fiber washers may be more up your alley. 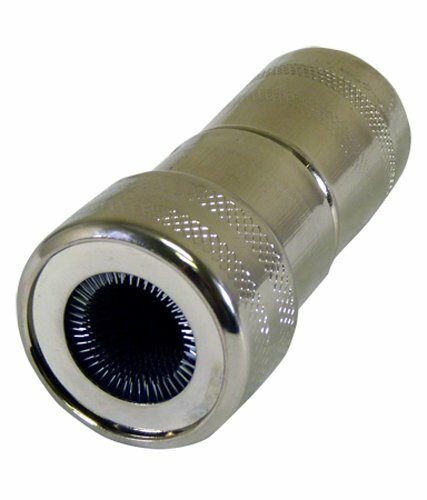 Simply, insert them above the battery tips to avoid corrosion build-up from happening around your terminals and ports.